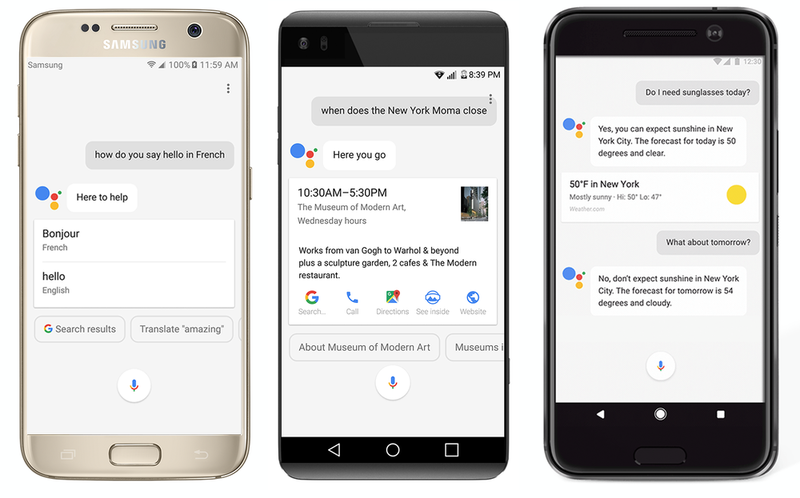 Google just announced the expansion of Google Assistant to more Android smartphones starting this week. After being available for Google Pixel smartphones, Google is planning to roll out to smartphones running Android 7.0 Nougat and Android 6.0 Marshmallow. The Google Assistant will be rolling out this week to the English users in U.S, Australia, Canada, the United Kingdom and German users in Germany with eligible Android phones running Nougat and Marshmallow with Google Play Services. Moreover, Google will add more languages over the coming year. It’s worth mentioning here that the new flagship smartphones unveiled this week at Mobile World Congress 2017 (MWC) such as LG G6 in Barcelona will be shipped with the Google Assistant feature. Now users will be able to access the Google Assistant just by saying “Ok Google” to perform their tasks including translation, get directions and much more.